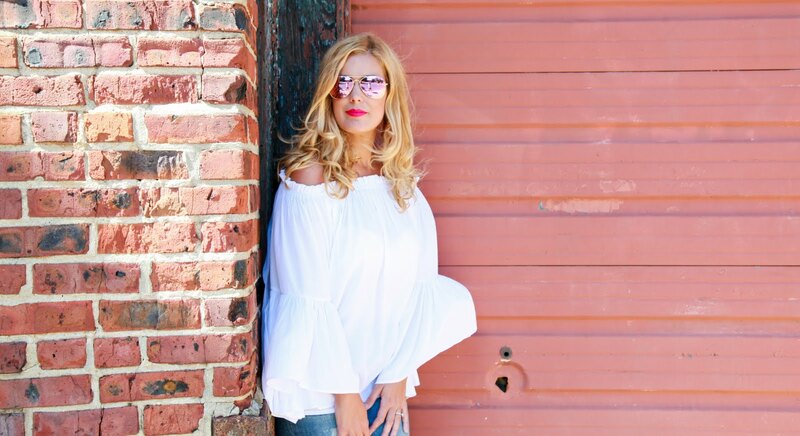 Fashion Maven... Mommy: Contouring and Highlighting With IT Cosmetics! 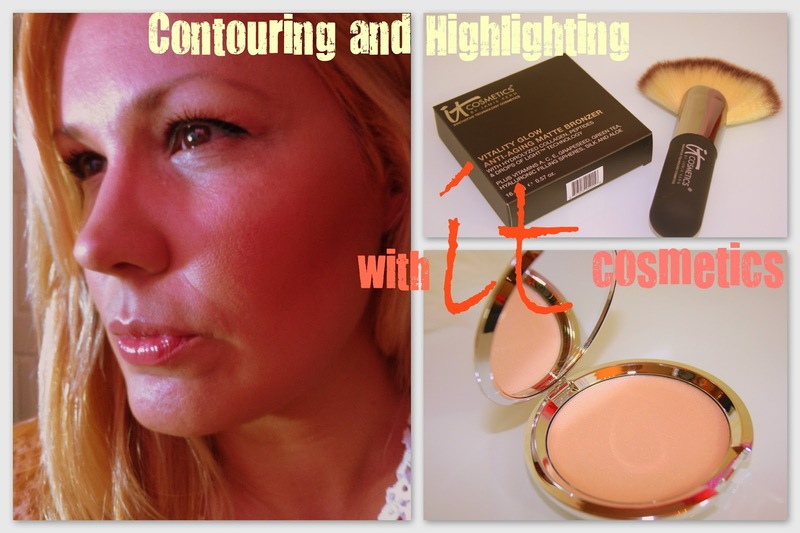 Contouring and Highlighting With IT Cosmetics! 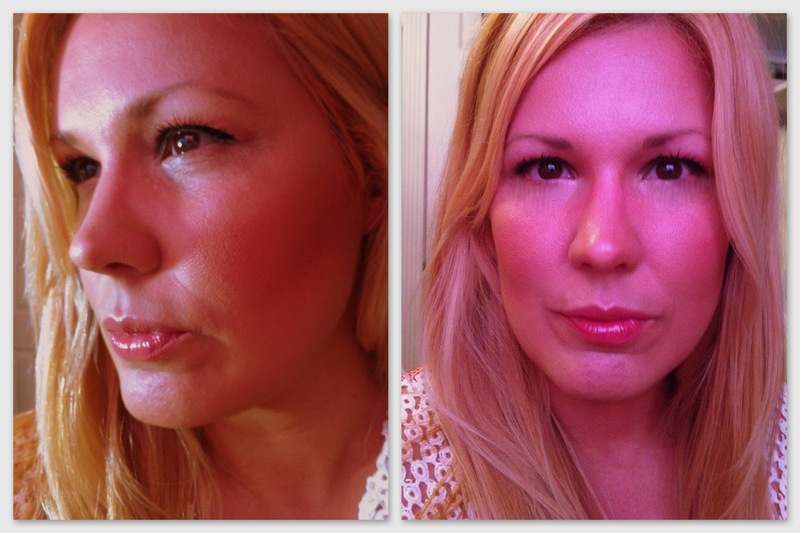 Highlighting and contouring is essentially like having plastic surgery without actually going under the knife! Honestly, it's easy and it can seriously enhance your already gorgeous features ladies! Ever look at celebrities like Jennifer Lopez and wonder how on earth someone could look SO perfect? Well, surely genes are a factor but don't discount the wonders of makeup as a possible contribution for her gorgeousness! It's all about creating an illusion... you know, concealing what you don't want to stand out and highlighting the features that you do love! In order to do this, you'll need to arm yourself with a few really great tools! I'm very much in love with a few essentials from IT cosmetics and thought I'd use them to illustrate just how to contour and highlight! First, you'll need a great bronzer... preferably one without shimmer! I'm using IT Cosmetics Vitality Glow Anti-Aging Matte Bronzer. I love that it's matte, totally buildable and not overwhelming against my fair skin! Best of all, this bronzer is infused with anti-aging peptides and hyaluroinic-filling spheres to keep your skin smooth and hydrated! How cool is that?! A bronzer with anti-aging properties that hydrates as well?! Wow... but wait, there's more! This bronzer is waterproof and sweat proof making it essentially perfect for this time of year! Rest assured that if you have sensitive skin, this bronzer is hypo-allergenic and works for even the most sensitive of skins! OK, can we chat about highlighting? When i first tried It Cosmetics Hello Light Anti-Aging Creme Illuminizer with Hydrolyzed Collagen, Peptides and Drops of Light Technology (holy mouth full), it was seriously love at first swipe! I have many highlighters, and I've definitely found some gems... but this, THIS is officially my holy grail! There.. I've declared it! This anti-aging powerhouse is designed to blur away fine lines for a naturally pretty, lit-from-within skin! 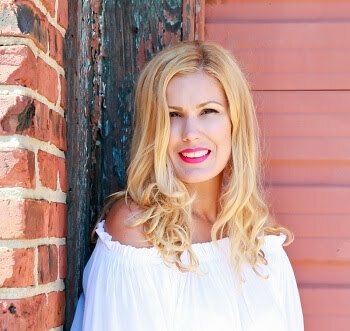 IT Cosmetics uses light-refracting microspheres to provide skin the look of healthy vitality, radiance and illumination without glitter or shimmer! Honestly, this beauty will add the most gorgeous glow helping you create the a flawless complexion! I will NEVER be without this product again, ever! Another important tool in highlighting is concealing! I've been using IT Cosmetics Bye Bye Under Eye and am completely obsessed with it! First, it's a full coverage, waterproof concealer! This means, you won't have to worry about sweating it right off! Also, i have some seriously dark circles under my eyes and this baby makes me look like I've slept for 12 hours! Any product that can do such miracles is certainly my best friend! Love, love, love! Lets not forget the importance of great tools! 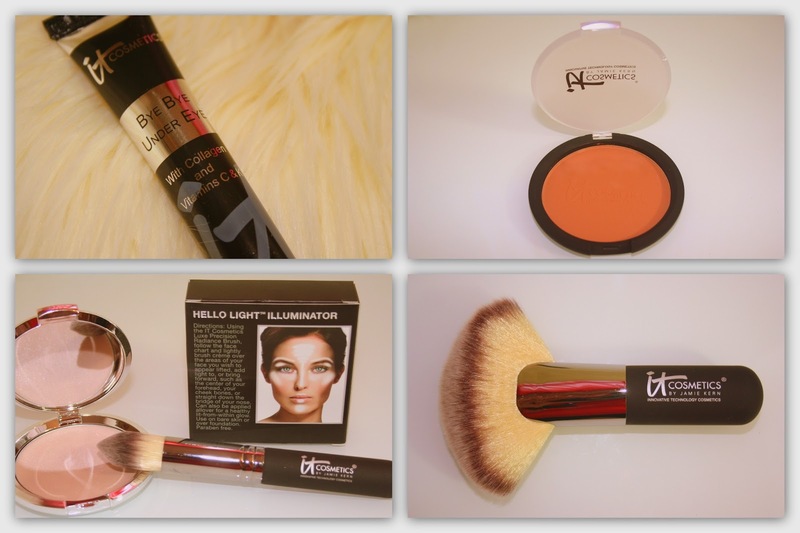 IT Cosmetics has you covered when it comes to quality and luxury! Speaking of luxury, the Heavenly Luxe Mega Fat Fan Brush is the ultimate indulgence! I'd say, it's the most luxurious, plush fan brush I've ever experienced! Once this baby touches your skin, you'll fall instantly in love with this 100% cruelty free mega brush! The Heavenly Luxe Pointed Precision Luminizer Brush will be your best friend when it comes to a flawless luminizer application! This versatile brush can be used to apply concealer as well as highlighter because of its unique design. I love how it allows you to reach the smallest parts of your face to apply and blend! Also 100% cruelty free, this brush doesn't miss a beat when it comes to a smooth, flawless application! Honestly, It Cosmetics is seriously setting a new standard when it comes to brushes! I need to get my hands on more as i can easily see a slight addiction forming here! Now that we've chatted about my go-to products to contour and highlight, i thought I'd put together a video that better illustrates just how i get this done! I hope you find it informative and easy. Please note, I'm clearly not a professional makeup artist by any means, I'm simply a makeup lover and this technique is what works for me. Note that in the video, i applied It Cosmetics' Vitality Lip Flush Butter Gloss in Naturally Pretty! So lets chat, have you tried IT Cosmetics? What are your faves? Have you ever tried contouring? *Press samples sent for consideration. All thoughts and opinions are mine based on my experience with these products. This is not a sponsored post! I LOVE their products! Seriously, on another level!